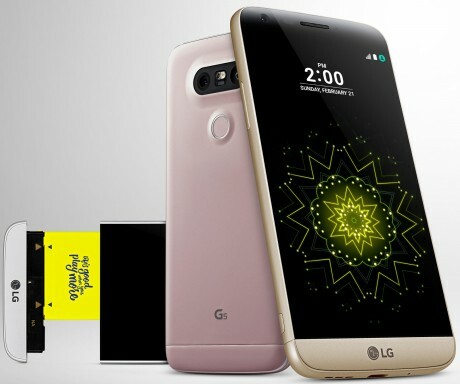 T-Mobile today said customers can order the LG G5 online starting March 29. The phone will reach stores April 1. T-Mobile is offering several incentives to encourage early adopters. Customers who buy the G5 before April 5 will receive the LG 360 CAM ($200) for free. The 360 CAM lets people capture 360-degree video. Customers who by the G5 before April 17 will receive a battery bundle, which includes a spare battery and docking station ($80). T-Mobile is selling the G5 for $0 down and 24 payments of $26.25. The full retail price of the phone is $629.99.